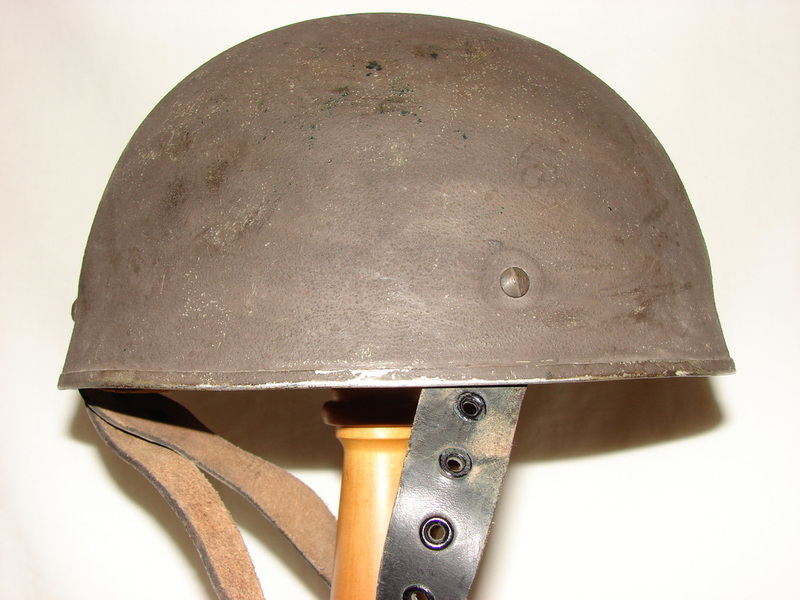 British Helmet, Steel Airborne Troops Mk. 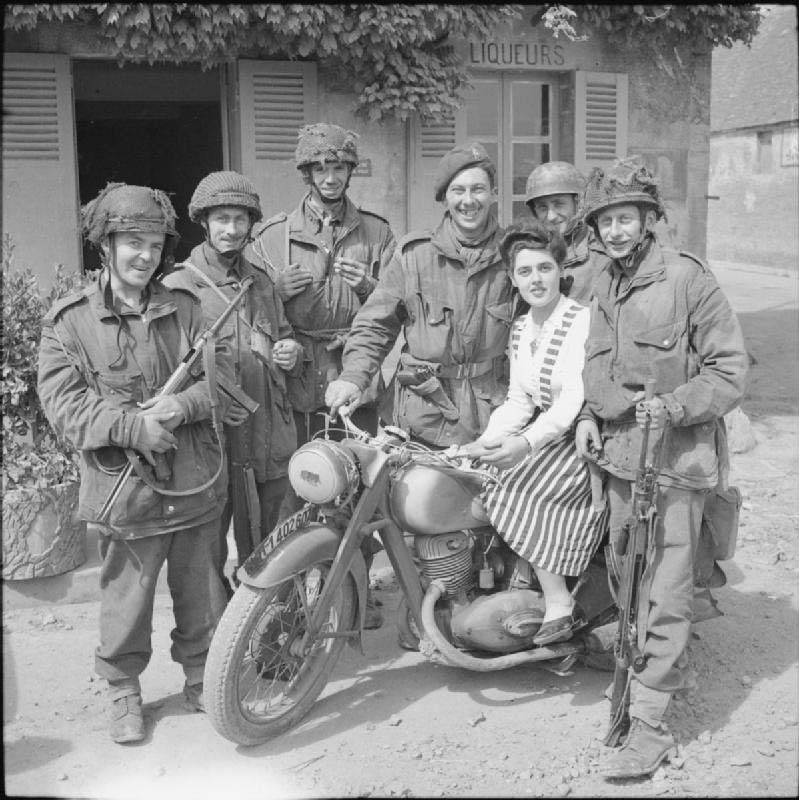 I. introduced late 1942 for use by Paratroopers and Glider troops. 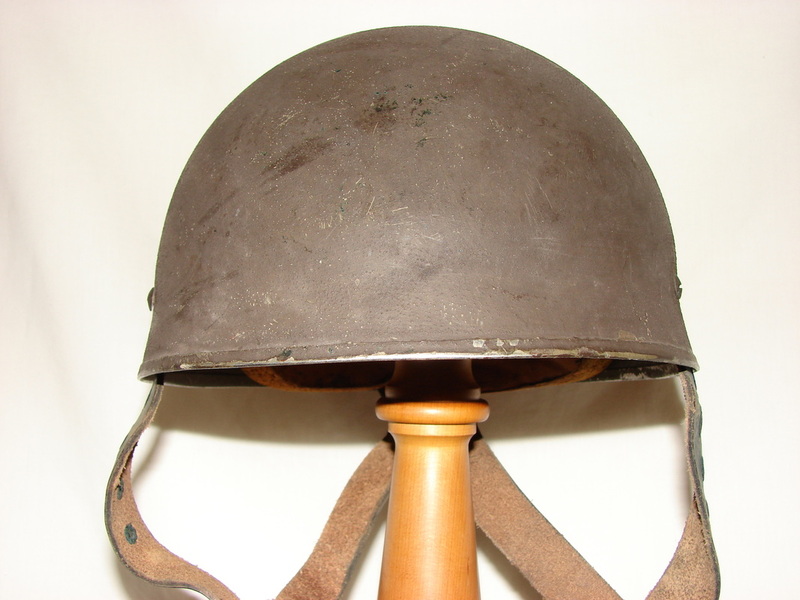 The earlier Mk I is identified by the leather chin straps and a fibre/rubber rim around the base of the shell, the second variation MkI had a slightly flared base with a stainless steel rim doing away with the fibre band, otherwise it is the same helmet, these helmets continued to be issued with the leather chinstraps until replaced with the more robust and comfortable 3-point webbing chin strap harness introduced late 1943/early 1944. 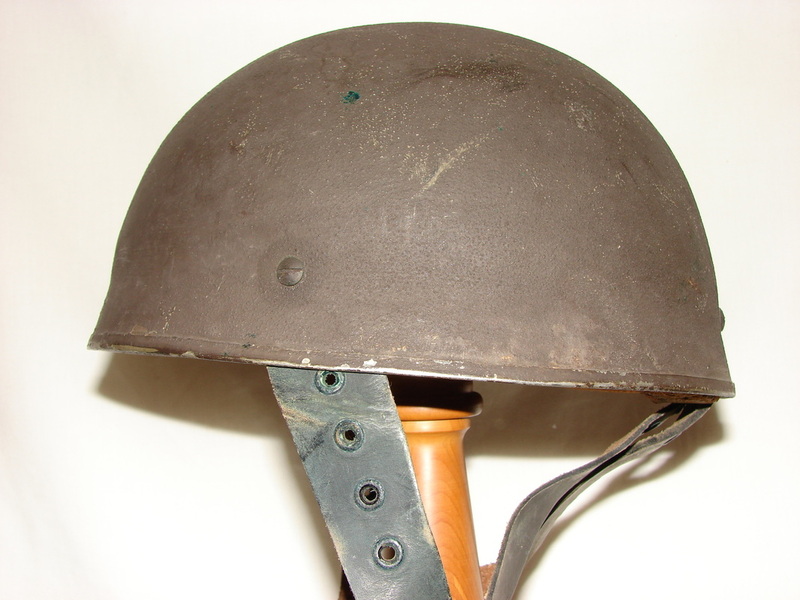 The helmet shell was also used as British Dispatcher rider and RAC helmets, the latter with a more conventional liner system and single chinstrap. 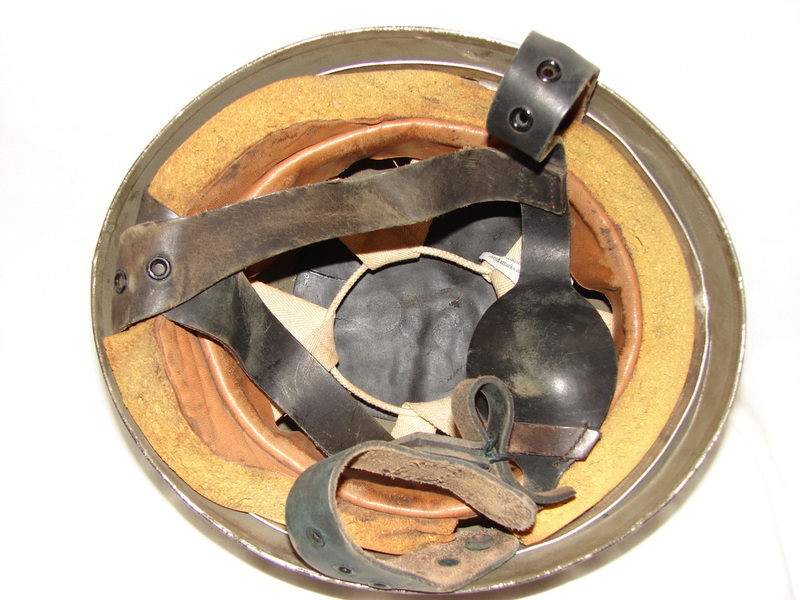 This example has the yellow foam padding. 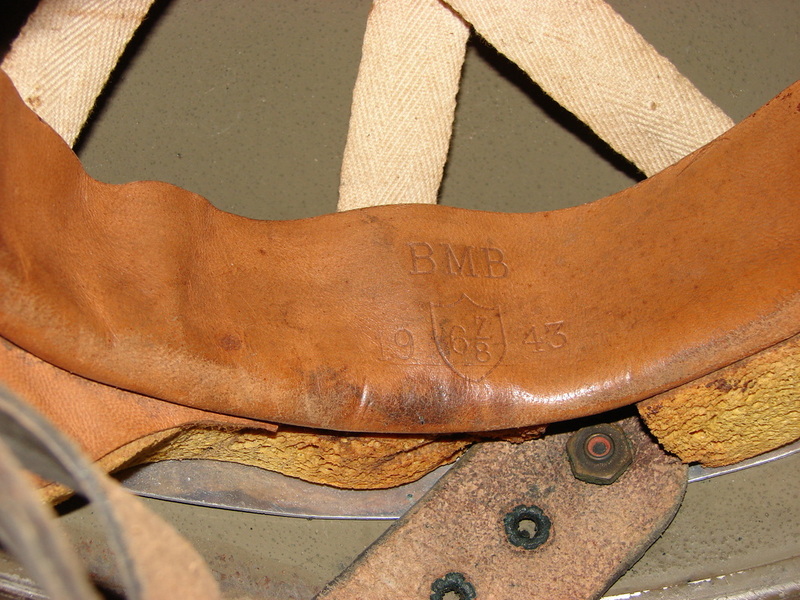 The leather sweatband is marked BMB for Briggs Motor Bodies Ltd, Dagenham, and dated 1943. 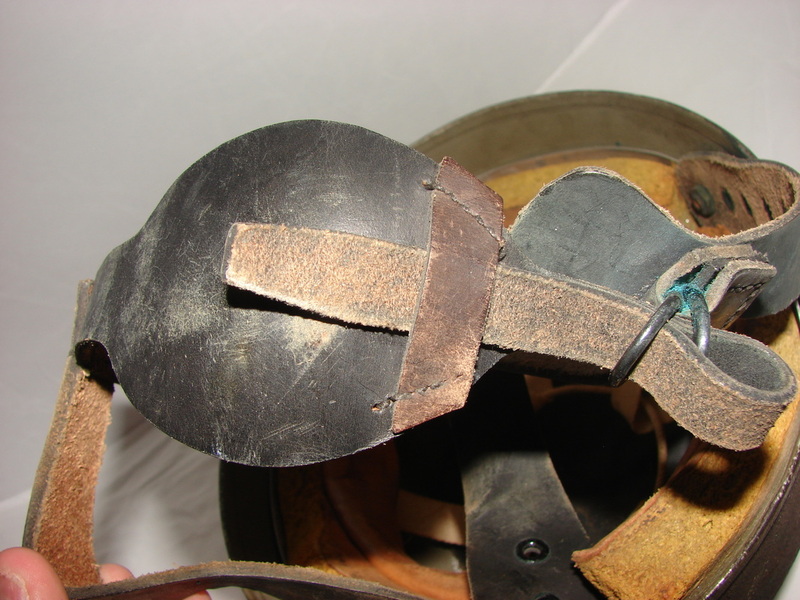 Other examples can be found with black sorbo, and felt covered by rubber. 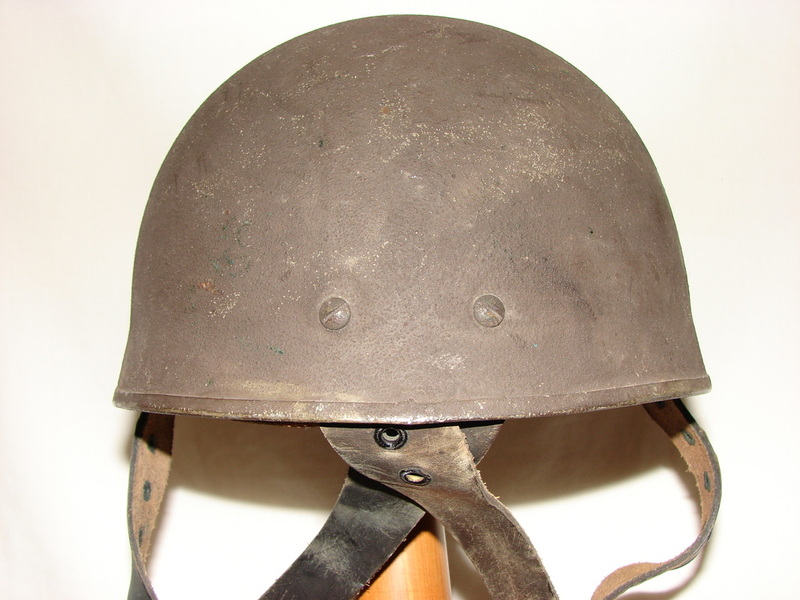 Originally painted a lighter shade of green, this has subsequently been changed to a darker colour common to WWII airborne helmets. (Courtesy: T Anderson Collection).